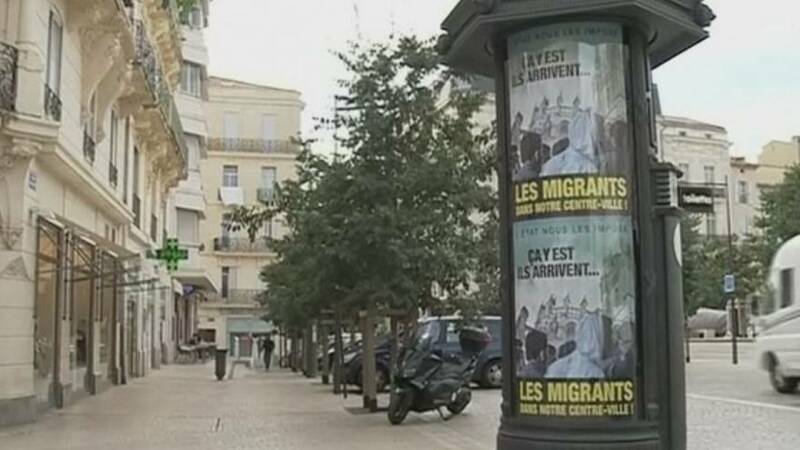 These words, alongside pictures of Middle Eastern and African men standing next to a cathedral, feature on shock posters put up by a mayor in southern France that have sparked outrage among rights groups. But the man in question, Béziers Mayor Robert Ménard, an ally of the far-right National Front, is unrepentant. He says the state is imposing migrants on his community. And he is already denouncing its ethnic mix. “When two-thirds of the children in some state schools in my town are of immigrant origin, I am sorry, but the tolerance threshold has already been surpassed,” Menard said. Forty more places are planned at a centre for asylum seekers in the town as the government prepares to dismantle the huge ‘Jungle’ camp at Calais in the north and disperse its migrants nationwide. Disgusted at the mayor’s attitude, one local man said. The mayor wants a referendum on whether to host migrants. But as a police investigation is launched into the posters, accused of spreading racial hatred, opponents of his campaign have organised an online petition that is now gathering thousands of signatures.